KUALA LUMPUR, -- Force Soldiers Malaysia has signed a contract with Chaiseri and Deftech for the initial order of 20 vehicles AV-4 First Win 4x4. Speaking at the event the Naval Research Day 2015 will take place at Navy Hall, Managing Director Chaiseri Metal & Rubber Co. Ltd., Mr. Hiran Koolhiran has confirmed to ThaiArmedForces.com that Malaysia has signed a contract to procure 20 armored vehicles First Win 4x4. Orders the first phase of the vehicle which in Malaysia is named AV-4 will be manufactured with the company Deftech of Malaysia. 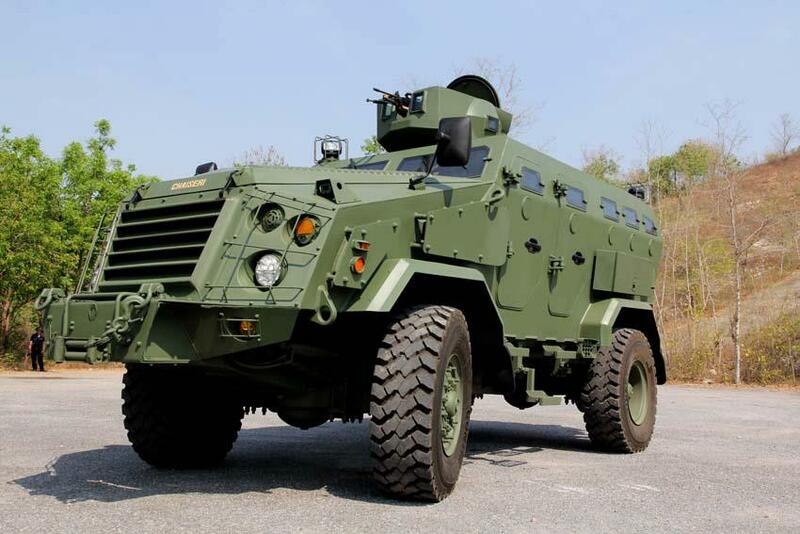 "Six of the first vehicle to be produced in the province Phatum Thani and will be delivered to the Military Forces of Malaysia in the first quarter of 2016", he added. To prove that the car's performance in real operating conditions of the delivery will be done by road from the factory in Pathum Thani to Malaysia. Needs of armored vehicles for the Malaysian army of about 200 units, First Win 4x4 has passed the test of actual practice in Malaysia last year. In particular, the partnership with a Malaysian company Deftech will cause both sides to exchange expertise in the field of technology. First Win 4x4 has operated in Thailand by 25 units by the Justice Department and the Royal Thai Army. Currently the company is actively engaged in global marketing and has received a number of customer perspectives, especially from the countries of the Middle East. NOTE: News information was translated via Google. The Thailand-made Chaiseri First Win 4x4 Multi-purpose armour vehicle. Chaiseri is collaborating with Malaysian DRB-Hicom Defence Technologies (Deftech) on promoting the First Win as a replacement for the Malaysian Army's aging Rheinmetall Condor.